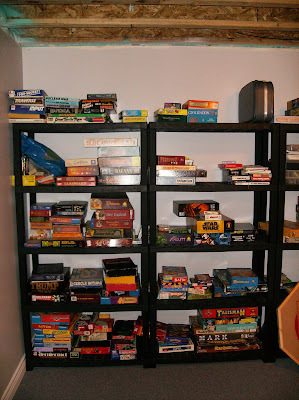 When I moved from BC to Ontario three years ago, I had to say goodbye to a LOT of games. 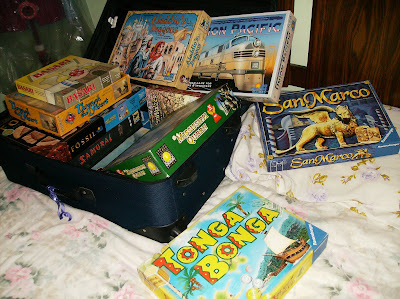 I gave some away that I never played and stored the rest at a dear friend's place where they have stayed. So every visit home is a bit of a gaming pilgrimage. I bring one big suitcase with me and leave with two. This trip I grabbed a few favourites like Mississippi Queen, Union Pacific, San Marco, Through the Desert, and the fantastic Tonga Bonga.